I'm hoping this is a prelude to the PGA Championship. 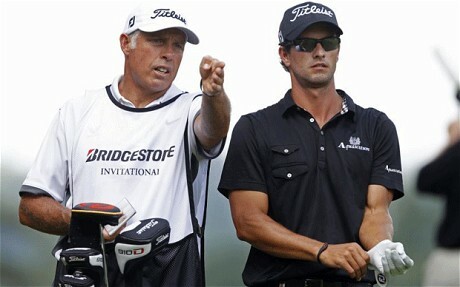 Ideally, Adam Scott and Tiger will be in the final paring on Sunday of this years PGA Championship. Tiger is the type of guy that fires his caddie and loyal friend and expects to never see him again. I don't think he'd do well in this situation. 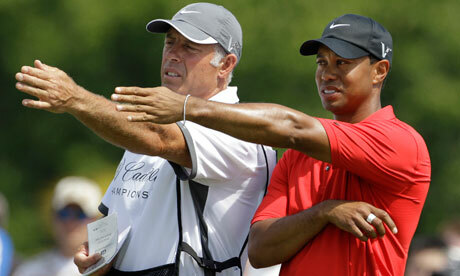 Glad to see that Steve Williams is being honest and is making it clear that he's holding a grudge against Tiger. Williams probably won't mention it again. How does that go?, the best revenge is being more successful than the person you want to get revenge from? REVENGE! If you like revenge stories like me you need to read The Count of Monte Cristo. I've never read it but did see the movie and its like I read it. What are some other good revenge stories? Braveheart. Anyway, Steve Williams and Adam Scott, we've got free slices for you all week., you got me in a lie, free slices anytime. Actually, I don't think Steve Williams was actively seeking revenge. This quote more aptly sums it up. Revenge holds another irony. It so often proves unnecessary. "Vengeance is mine, saith the Lord," wrote an ancient Hebrew sage. No mere pious platitude. An axiom of human psychology that is too little understood. Substitute "Nature" for "the Lord," if you desire. Those given to harming others bear within themselves the seeds of their own destruction. When a man injures you, it's often better to let Nature take her course. That wise old lady is pretty sure to do a juster and more artistic job of punishment than you. ...and turns out that Frank Sinatra has been stealing my own quotes? P.S. I want Tiger Woods to be great again.